Corals and peaches are my all-time favorites for warmer weather so of course I have a few of those shades along with some pinkier hues. I love the formula of these moisture stains. It goes on nice and smooth and doesn't dry sticky at all. 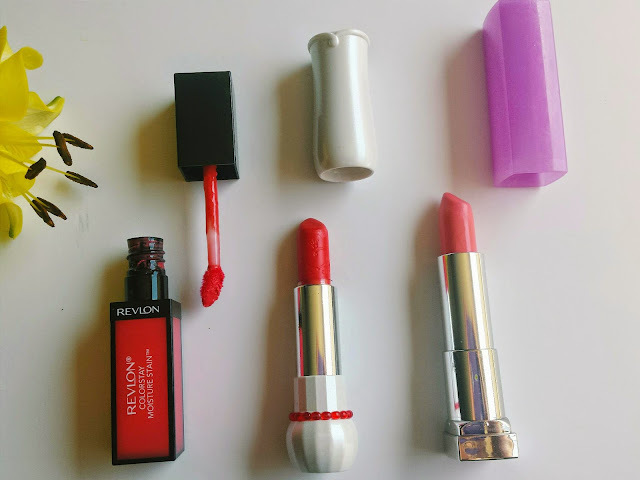 It leaves a nice stained effect on the lips and wears decently. This color in particular has been my go to since it leaves such a bright, but not too bold, coral color on the lips. It's perfect to brighten up and warm up your complexion. Come Spring and Summer, I love busting out the peachy shades and this one is just perfect and right up my ally. You can wear it sheered out or build up the color intensity-whatever floats your boat! 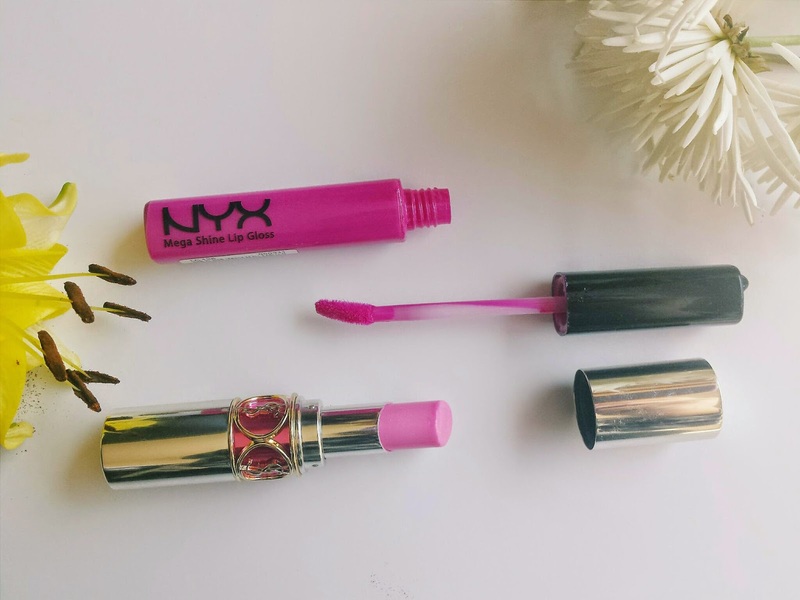 The formula makes this otherwise pastel color very wearable and comfortable on the lips. Review HERE. 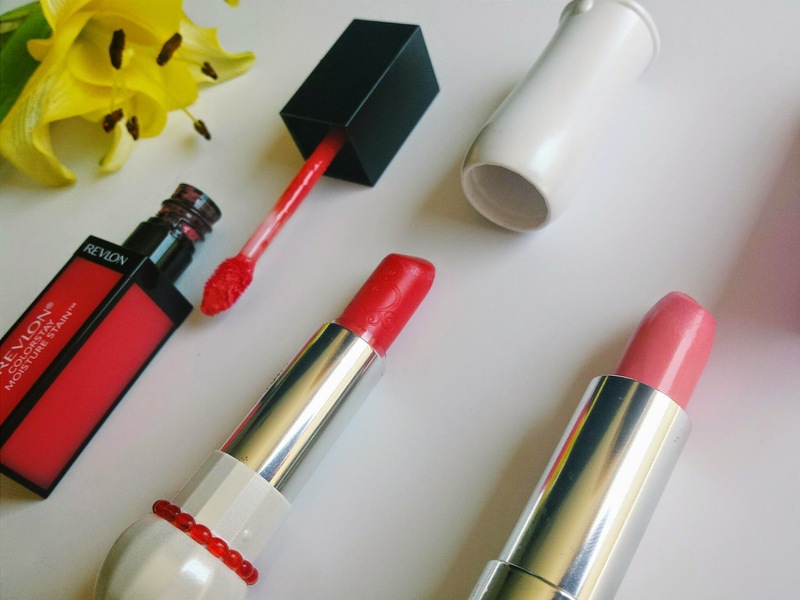 This is the perfect everyday, throw it in your bag and apply on the go lipstick. It is indeed sheer, as the name suggests, but it leaves your lips with a juicy light pink tinted color that looks as if you are wearing a lip gloss. Review HERE. 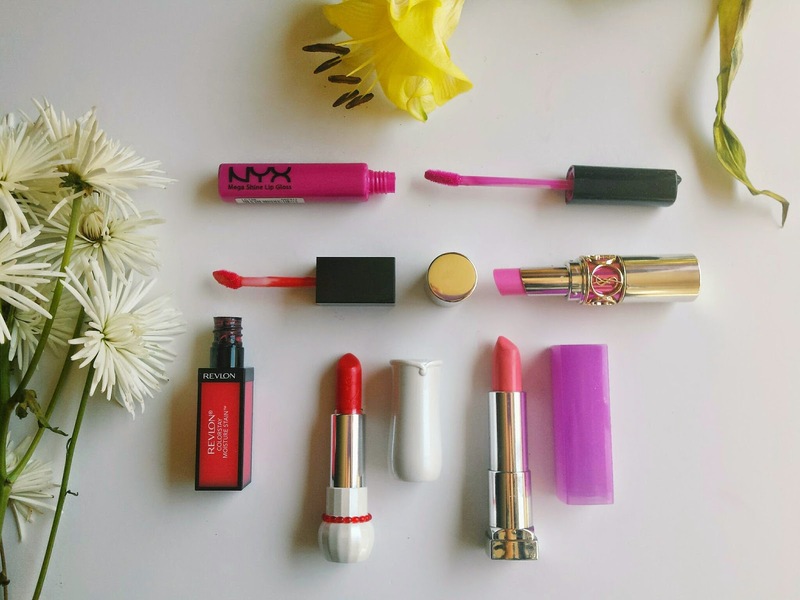 Readers, have you tried any of these lip products before? 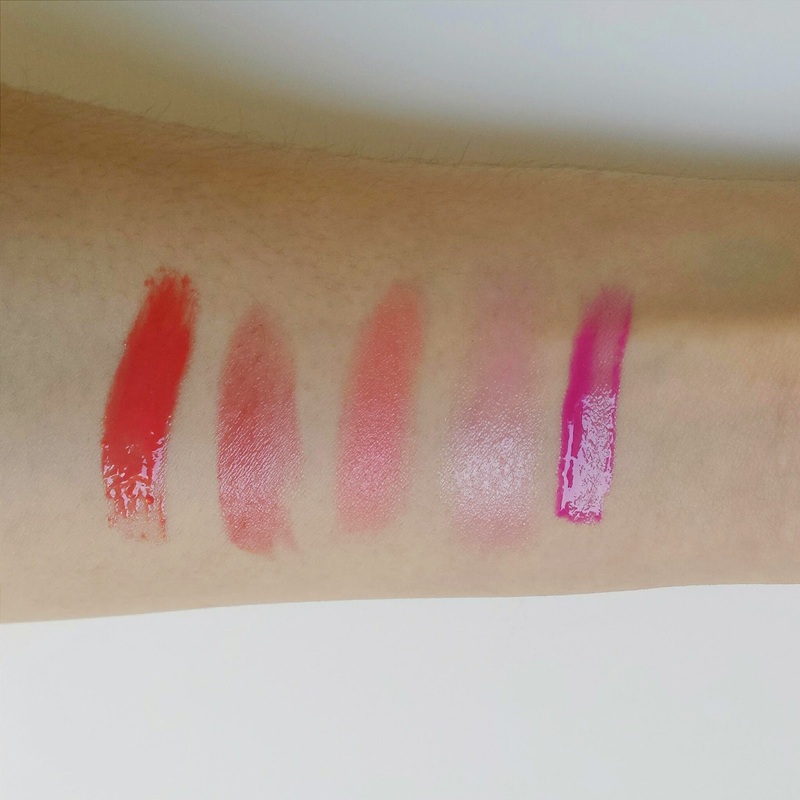 What are your favorite Spring lippies? !